"Hello! 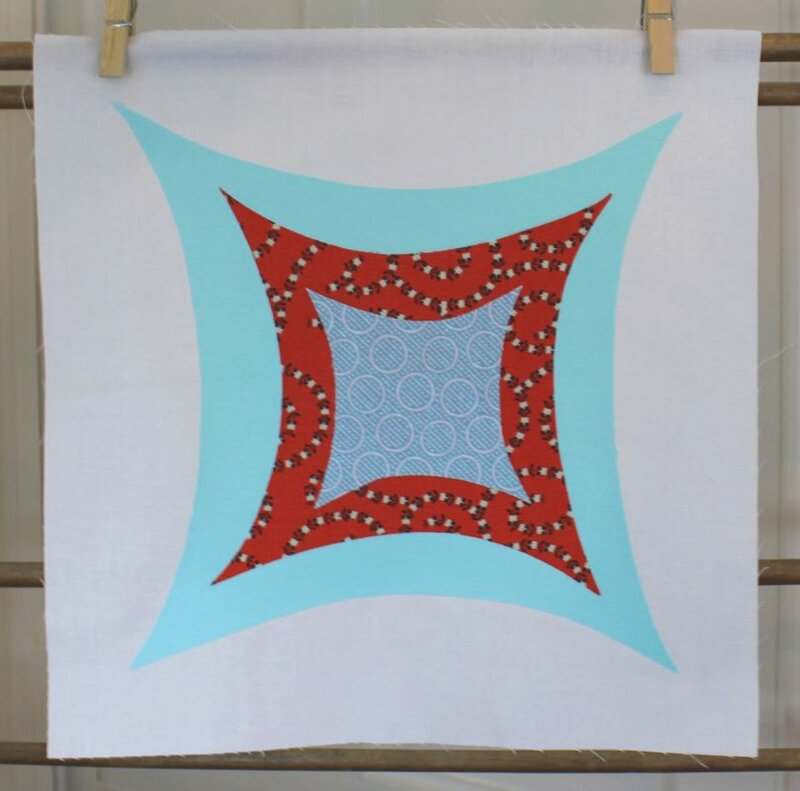 Today I'm sharing my design for the Cathedral Windows Quilt Along for Pellon Projects and Free Quilt Patterns. When I was sketching ideas for the block, I wanted to come up with a new way to create a block that had a similar look to the traditional cathedral window block, but without the layers and layers of folded fabric. I also wanted to design something that would be easier to quilt than the traditional cathedral window, as most of those are not quilted at all (at least the ones I've seen before) because of all of the fabric bulk. "So, I came up with the Mod Cathedral Window block. 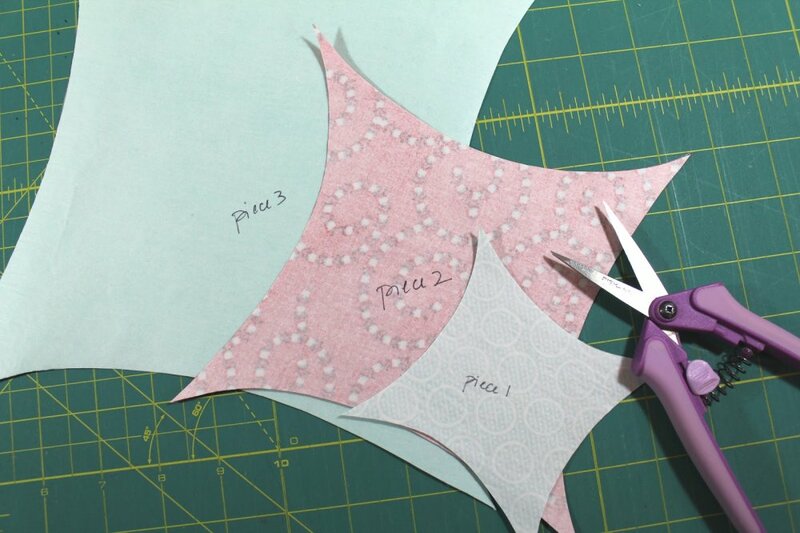 This block is really easy to construct but has a strong visual impact. My design uses raw edge appliqué and fusible webbing, instead of folded layers of fabric found in traditional cathedral window quilt blocks. Each appliqué piece was hand drawn by me to give the design a bit of irregularity in the finished block." View Heather's step-by-step tutorial here. Be sure to get your block images submitted by the 15th of November to qualify for the free giveaways! Winners will be announced shortly after. You can submit your images at the Cathedral Windows Quilt-Along Flickr group.